Katherine has spent most of her life working alongside start-ups in various verticals. For 10 years, she was responsible for the development of entrepreneurial initiatives and projects under the hospices of the Youth Entrepreneurship Challenge, a Youth Secretariat program of the government of Quebec. She has authored and co-authored guidebooks on entrepreneurship education. Katherine first developed her passion for building businesses when she co-founded an entrepreneurial training event for girls called Glambiton. She was instrumental in the development of the first National Entrepreneurship Day for the province of Quebec. Katherine has served on the Boards of numerous non-profit organizations and currently sits on PMEMTL Centre-Ouest and EPCA. She sits on the investment committees of PME MTL Centre and PME MTL Centre-Ouest. These entities are the decision making bodies with regards to business financing with the city of Montreal. 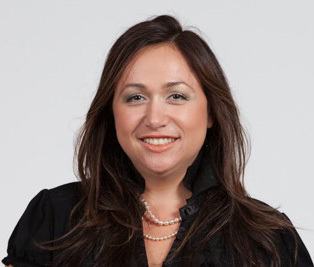 She currently is Manager of Entrepreneurship for ProMontreal Entrepreneurs (PME), an early stage VC fund and entrepreneurship program that invests in multiple verticals. The fund has a social business model and has been around for 18 yrs. Finding the right co-founder for your business will be one of the biggest decisions you will have to make as an entrepreneur. Trust us when we say that this decision will determine the fate of your business. We’ve seen some best and worst-case scenarios. Here are a few tips you will have to consider before making this big decision. As with any relationship, in business you must get to know your co-founder and the way they work before you tie the knot. It’s not enough to meet someone at a networking event and a couple of weeks later sign a shareholders agreement. Once that’s done, it’s not easily undone. The process can get nasty and can ruin a business, just like marrying someone without having known them or their intentions, the divorce will be a long, ugly, and tedious process you could have avoided. The most common disagreements that co-founders have is with regards to the future vision and direction for the business. Obviously, the goal is to grow the business but there are only so many ways a business can grow, and so many directions a business can take that can all lead to very different outcomes. Before you commit to a partnership, make sure you and your potential partner are on the same page as far as the vision of the company and the values you hold. Partnering with someone who has the same exact profile as you, is not a good idea. You must find someone with complementary skills that will allow your business to grow and flourish. Look to the future of the business when you consider complementary skills. Based on those complimentary skills, job positions are drafted. That way you can challenge each other and build a stronger and quality company. While it might be appealing to geek out together about the same things, you want someone who has a different skillset. You’re a programmer, she should be a marketer. If you’re a designer, he should be a developer. If you’re an introvert, she should be an extrovert. We cannot emphasize the importance of this enough. Shareholders agreements ensure that the responsibilities of the shareholders are well thought-out, what is to be permitted and what is not to be permitted, and how decisions are to be made. It should also include what do to when you cannot reach a commune decision, who gets the last word? It is meant to decrease potential for conflict between shareholders from the get-go. Problems arise, however, when you do not understand it fully before signing. Some very careful thought must be given to the share ownership. Who owns how many shares (and for what contribution cash? time? intellectual property, etc.)? And, how are these shares held? 3. Can I buy more shares if I’d like to? 4. Am I committing to something I cannot live up to? 5. Will I be able to exert sufficient influence to protect my investment? 6. What is my total financial exposure and legal liability (present and future) on this deal? Some have the misconception that equity must always be split 50/50. While an equal equity split can work great for some businesses, it is not the only alternative on the table. 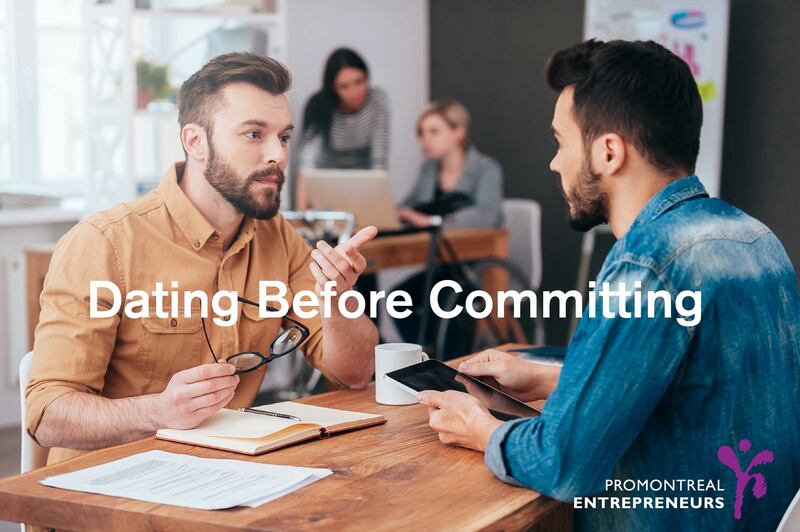 You may be avoiding an awkward and tough conversation by opting to split equally now, but think about the repercussions this may have to your business’s future. You should also consider vesting. This can prevent you from issuing stocks to unworthy partners or employees. Remember that you will likely be spending more time with your co-founder than with your own family. Choosing this person will determine the future of your business. Having good chemistry and getting along with your co-founder is a must. You want someone that will carry their weight and that has the same passion and drive as you. You are about to embark on a challenging and memorable journey, make sure it’s with the right person! This entry was posted in Best Practices, Co-Founder, Start-ups, Youth Entrepreneurship by Katherine Korakakis. Bookmark the permalink. © Copyright ProMontreal Entrepreneurs 2014 All Rights Reserved.